Hey, this reminds me of those letters we used to send in middle school. You remember: they started with “Do you like me?”, followed by a “Yes” box and a “No” box. The only major difference is that our letters had far superior grammar and spelling. That was middle school, so I can only assume that the author of this meme is in elementary school. Gentle reader, this travesty must stop: first grade is far too young for a child to tryna smash. Actually, Tryna Smash sounds like the name of a lady wrestler. She came from the former Soviet Union to crush the American Dream. Moving on: Let’s talk about apostrophes. Either use them or don’t. Really, you should use them, but don’t use them sometimes and completely ignore them other times. The same goes for capital letters. Just because capital letters are a good idea sometimes doesn’t mean they’re always a good idea. Show some restraint. Awkwardly unnecessary question marks for the win. I love you…perhaps? Kiss me…if you’re not too busy? 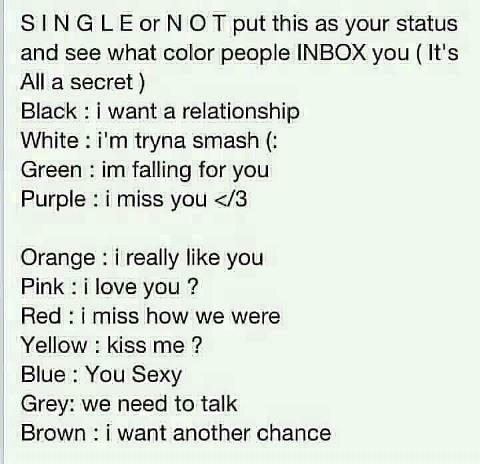 And finally…I want another chance, but our relationship isn’t important enough for me to talk to you directly, so instead I’ll send a color to your inbox. Who wouldn’t swoon for that? But when a man is silent, he’s strong and masculine, right? Sheesh. Okay, probably not all of the above. I’m pretty sure dead nuns don’t milk cows. But you get my point. 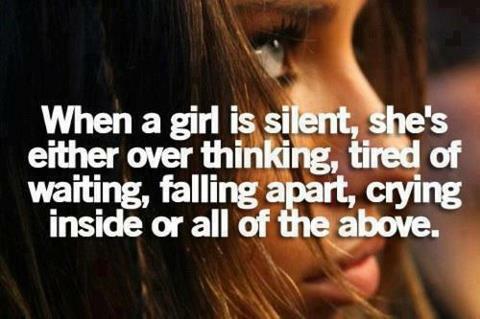 It seems like a truly asinine conjecture to assume that any girl who isn’t constantly talking must be an emotional wreck inside. People are not so one-dimensional. Maybe meme creators are…I don’t know.